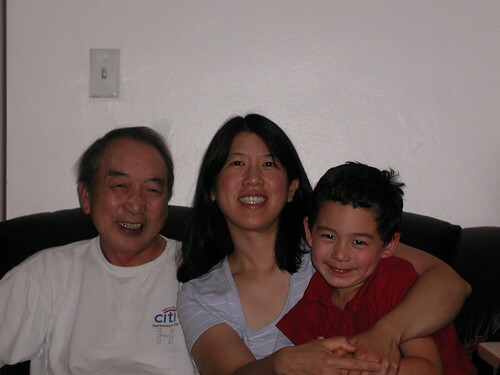 My dad, me and Adam in 2005. 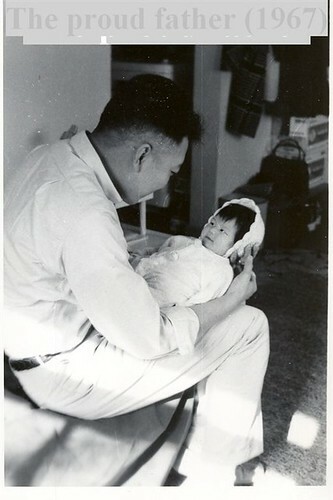 When my father died in 2005, his 69 years of distant but persistent love for me seemed to vanish. I would tell myself it was just the illness talking, that deep down he did still love me. But in his final act of writing me out of his will, all my suspicions were realized. For years since, every time I thought of him, it would be with anger and resentment. In 2007, I wrote it all out hoping that it would purge me of these feelings. Now in 2010, pictures of my father will still set me off. I was starting to think that if you had a grudge against the dead, it would never go away. The dead can’t defend themselves, can’t set you straight, can’t tell you that you have it all wrong. They had no voice. Quite unexpectedly, I found myself completely mistaken. Through Janet at Fond of Snape, I connected with her friend who was a student at Lily Dale, a school for spiritual development. Years ago, I had seen a psychic and it was quite revealing, quite emotional and quite accurate. I felt that I needed to speak to her friend about other matters, but was surprised when my father came into view in the form of a sailboat. 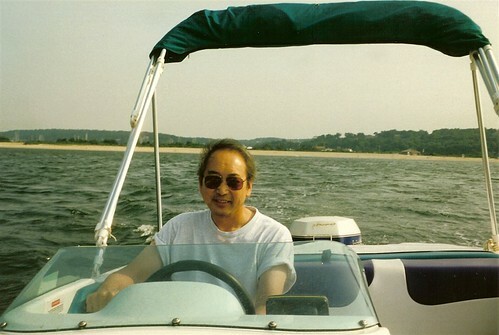 I always remember my father with his love of boats. She could see that it was a small Minifish that my father had given me years ago, which we never use. She said that if I went to it, and sat in it, I would feel his presence. That I needed to go out alone in the boat, and he would put wind in my sails to set me off in the right direction. I was floating in circles now and it was not like me not to know exactly where I was heading. But he also wanted to address our rift. He brought a lot of green healing, in the form of thick green-stemmed flowers. He wanted to bring me healing first before he brought his love because he knew he needed to make things right. And for the first time, I could actually feel it. I could feel that he never intended to hurt me. That I was still his special girl and he only wanted the best for me. My dad and his only child. I know there are plenty of skeptics out there that feel that psychics just tell you what you want to hear. But there were definitely moments where I was surprised about what she saw. Specific things that she couldn't have known, and insights that I could have never gained on my own or even thought would be true. Of course you filter out things that were simply off track, but the real insights outweigh the missteps. I look forward to setting sail with my father again. It’s been a long road with so much anger, and it’s time for healing and peace. Thank you Kris for opening my eyes. I have always wanted to sees a phsycic. not sure what I would hope to accomplish - but I am very curious. How wonderful that shw as able to hep you heal. What an amazing gift. Angela, I'm so glad Kris could help. She is truly gifted! I do believe in a 6th sense. Some people are just so intuitive--it's like supersonic hearing, or perfect pitch, or something else that's very unique & special, that only a few are so lucky to have. I'm glad that she was able to help you.